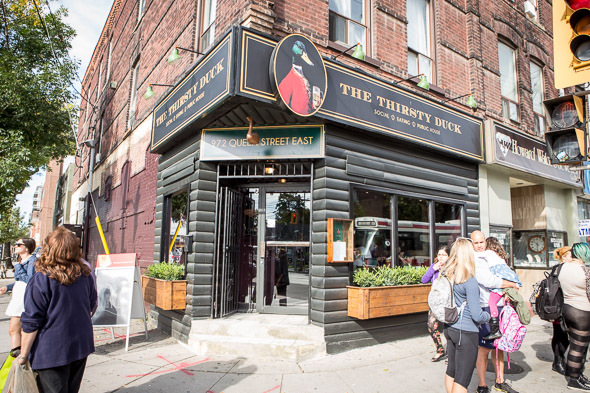 The Thirsty Duck is named for a Halifax bar that owners Joey Skeir and Cherie Stinson used to frequent. The new public house in Leslieville sits just doors down from the duo's other establishment, Eastside Social and occupies the corner lot that formerly housed Celine Garden Restaurant . The transformation from Chinese restaurant to classic east coast pub is remarkable and while I know that every inch of this space has been newly renovated, it doesn't feel new - it feels comfortable and reassuringly worn in. The interior is furnished with warm wood and carmine banquettes, and decorated with eclectic antiques including portraits of British monarchs, and hunting and fishing illustrations. 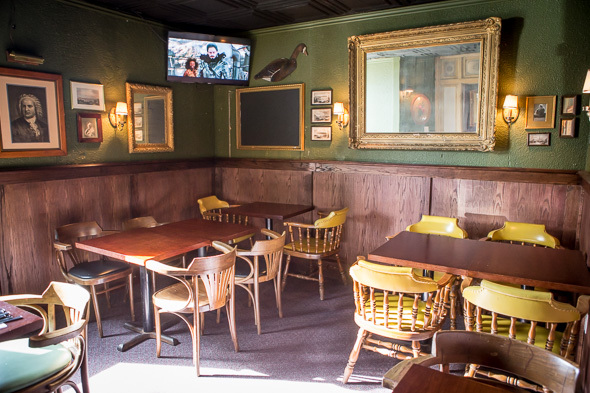 In the back, a 14-seat tavern room is available for private gatherings and will play host to weekly trivia nights. 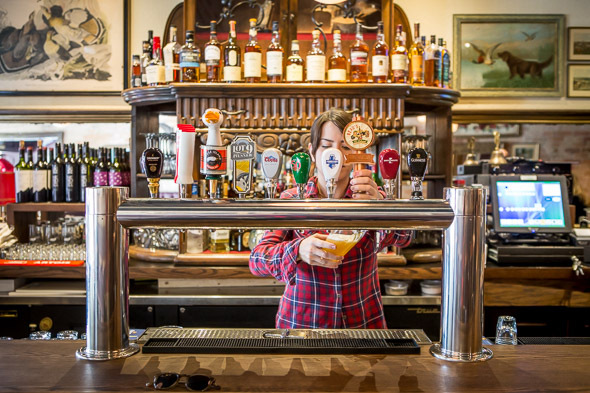 The bar is well stocked with bottles of scotch and Irish whiskeys plus there are 10 taps including a rotating selection of Junction beers and hard to find treasures like Smithwicks ($6.50-$7.80/20oz pint). The food menu will satisfy nostalgic cravings of east coast transplants and introduce Torontonians to popular Atlantic Canada bar snacks like fried Brothers Pepperoni ($5). 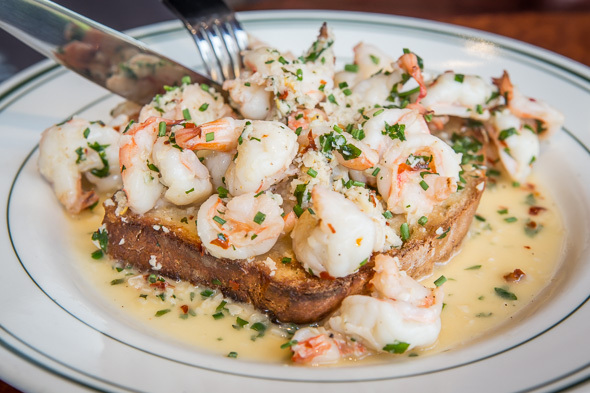 I try the Shrimps on Toast ($13.50) which starts with a slice of crusty house-baked white bread that's piled with sautĂŠed prawns and doused in a garlicky white wine butter sauce. 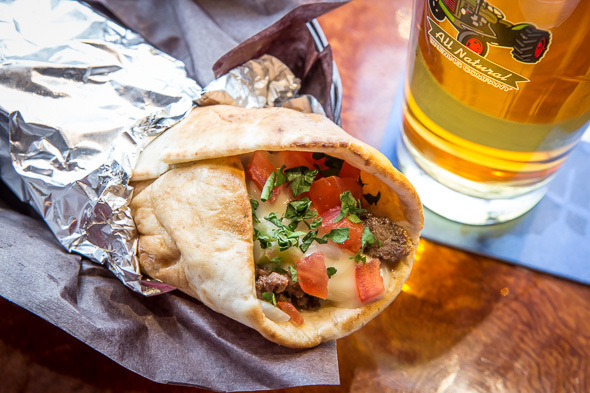 Next up, a Halifax Donair ($12) that sees ground spiced beef baked then sliced thin and crisped up before being nestled into Lebanese flatbread and dressed with parsley, tomato, onions, and a signature sweet garlic sauce. Skeir's dad previously owned a fish and chip shop, and diners should rightly expect Joey's Fish & Chips ($15) to be on point, and it is. 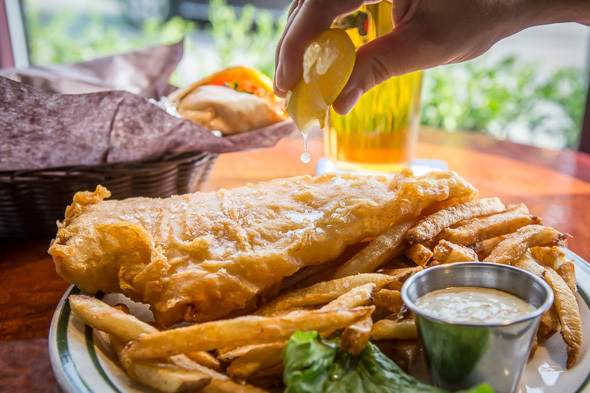 Encrusted in a golden beer batter, the haddock is supple and moist while the accompanying chips are freshly cut and fried to a perfect crisp. The tartare sauce (like every other condiment and component in this pub) is made from scratch. I hear that the crispy duck leg sandwich ($14.75) has proved quite popular, and despite being totally satisfied with this initial sampling, I'm already tempted to return to try the house burger ($14.50) composed of 60 per cent brisket, 40 per cent ground bacon. 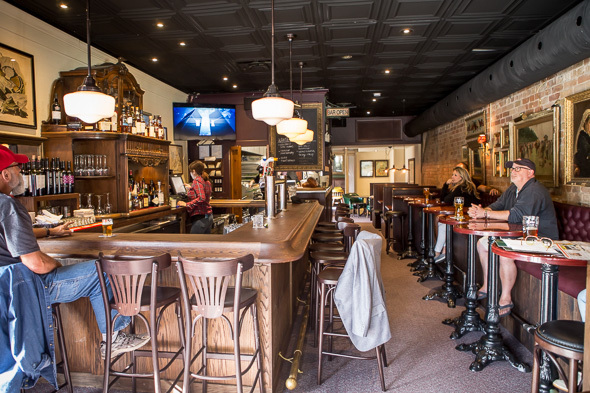 Everything about this pub, from the food and decor to the hospitality feels as though it could have been plucked right out of the Maritimes and set down on Queen St. East. It doesn't feel like a theme restaurant either -- just a thoroughly charming experience.